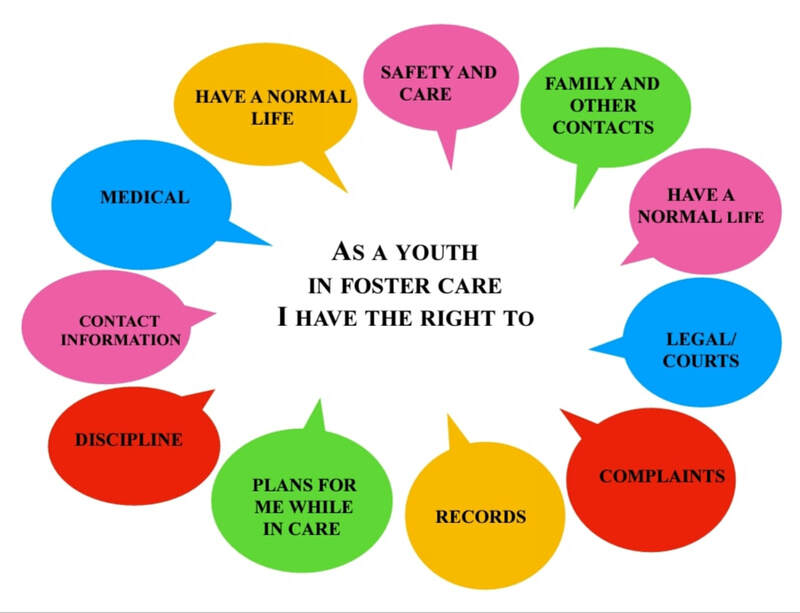 ​Just because a youth is in foster care does NOT mean they have no RIGHTS! Youths have a right to visit and have contact with people outside the foster care system. Youths have a right to go to court hearings and speak to the Judge. Youths have a right to a copy of CPS Rights of Children and Youth in Foster Care and have it explained to them. YTIA has published two booklets to help youths develop a transition plan and both are available to youths for free. These booklets are provided during a youth's "Circle of Support" or at the one-day "Aging Out" seminars sponsored by PAL. If you haven't gotten these booklets but want them, just send us a contact "Contact Us" and request one or both, or give us a call at (210) 256-1888. We'll send them right out! ​WANT TO SPONSOR OUR NEXT PUBLICATION? YTIA has three other booklets in the works. If you would like to support this effort, please consider making a donation. Simply send your contribution, earmarked for "Publications" to: YTIA, Post Office Box 29256, San Antonio, Texas 78229, or donate on-line through our "DONATE" button. Thanks. The G.A.P. Tool-Kit, is already getting a workout. This publication is used by youths to create a vision of their future. Workshops on the use of this Tool-Kit are being taught on an individual or group basis. We are also very proud to be sharing the Tool-Kit with caseworkers. The Tool-Kit does not take the place of the Circle of Support meeting (wherein a youth discusses his/her future) but provides a means by which the youth's thoughts and ideas are brought into focus before attending that meeting. Despite emerging supports, states are struggling to meet the needs of older foster youth, and many teens, not seeing any advantage to staying in care, voluntarily “age out” at 18 or after high school graduation even though very few of them are capable of establishing a successful independent life without family or community support.